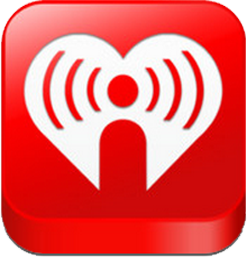 iHeartRadio Rank: #51 on the Top 100 Free iPhone Apps List as of July 18th For: iPhone, iPod touch, iPad iHeartRadio is a free app with (so far) no in-app purchases. You can choose from among 1000+radio stations and now you have the ability to actually create your own station(s) and feature them live on social networking sites like Facebook. 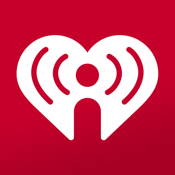 Pandora was originally the biggest online site, and then they created its app for free radio live coverage, but iHeartRadio has now seriously become a major competitor with over 170,000 rating reviews since its recent updated release July 17. iHeartRadio includes pretty much every genre you can think of. Use the scan button to search for further tracks and artists in the same niche, with over 400,000 artists and 14 million songs. What’s extremely appealing is that not just can you create commercial free custom stations, but when travelling, you can line up your foreign services to accompany you on your next destination. The latest updates include the “up” arrow on the “now playing" screen to explore artists biographies. Various performance updates have also been improved. 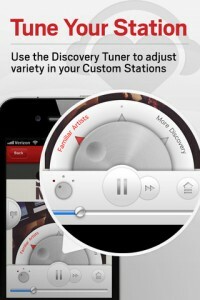 Because this app provides a digital radio service, you need to be online to listen to your choices. Alternatively, you can record and store music on your personal radio station. There is no limit to the number of radio stations you can set up, provided you have separate email addresses for each station. Much like Grooveshark, it’s a little more interactive with the ability to share what interests you have, be it abroad or on your local college campus. The interface display is pretty sweet where you can adjust your tuner to your own custom stations.